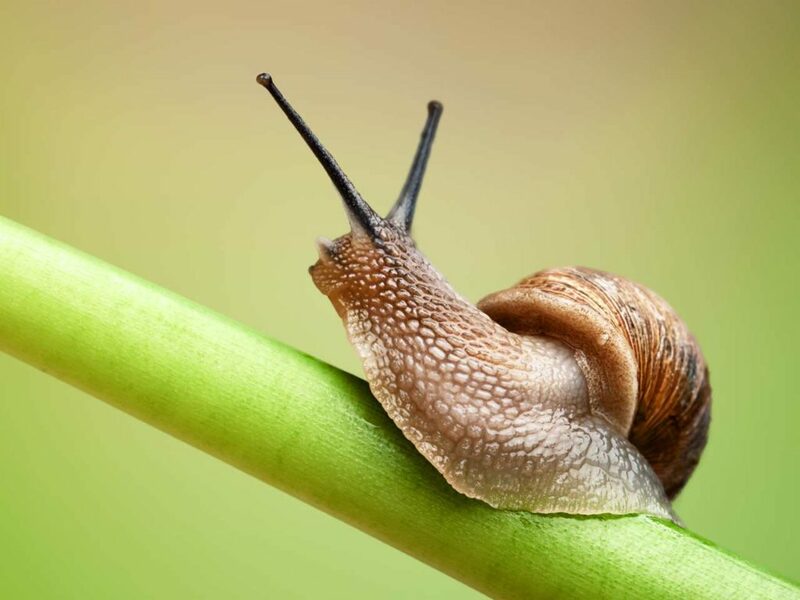 Slugs are a huge nuisance in any garden, and even though you may not see them right away, evidence of their presence is unmistakable: slimy trails and chewed leaf corners are indicators of slug presence. Fortunately, there are many different ways to get rid of slugs in the garden from natural home remedies, to commercial treatments. Because we love all things nature and natural, we’re going to be looking at 5 ways to get rid of slugs in the garden using home remedies! Slugs love beer just as much as we do, but unfortunately for them, it will kill them! 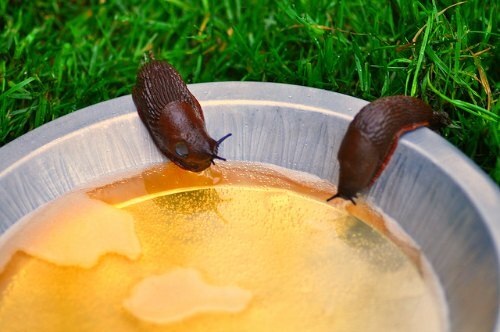 A super popular and very effective method of getting rid of slugs is down fill a little saucer with beer and wait for the slugs to come to it! The slugs will drink it, and eventually perish. Another method is to lay a bottle of beer horizontally on the ground (with a little bit of beer inside) – the slugs will get into the bottle, but they will not be able to come out. Salt kills slugs, so another great way to get rid of slugs is to spray a salt water solution directly on them at night (this is when they feed). Just be sure to thoroughly water your plants the next morning to get rid of any salty residues. Grind crushed eggshells into a fine powder and sprinkle around the affected areas. You can also crush up some eggshells to make jagged pieces and sprinkle them around your garden. Just be sure to rinse out your eggshells before to prevent any pests or rodents from coming around. Copper wire, mesh, ribbon, or tubing, can actually deliver a small electric charge to slugs which will prevent them from entering your garden. Place them around your garden, pots, or containers to prevent slug infestations. Mix equal parts water with equal parts ammonia (preferably 1 1/2 cups each) and 2 tbsp of oil soap. Pour the mixture into a spray bottle and spray slugs directly. 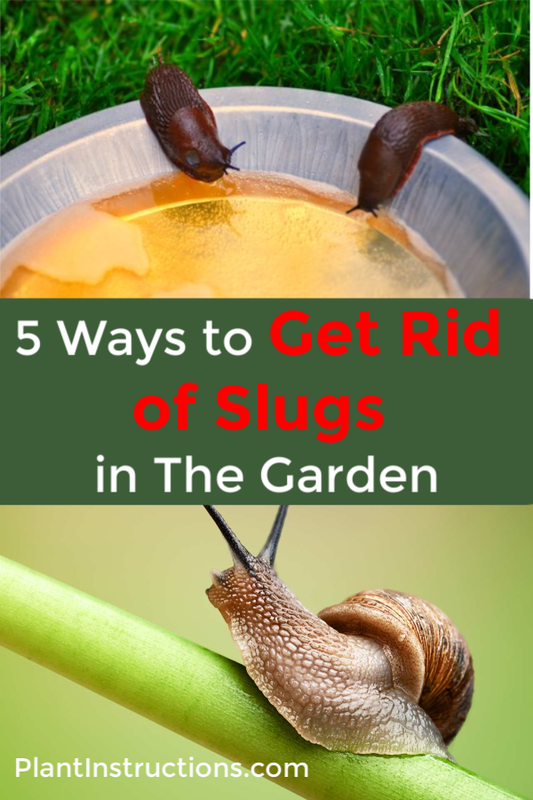 5 Ways to Get Rid of Slugs in The Garden was last modified: October 2nd, 2018 by Aniela M.